I have two APFS volumes on one disk. I wanted to shrink them to make a new volume for Bootcamp, but shrinking each one has left the free space separated. Is there a way to move the second volume forward or backwards to combine the free space I've created? No - you can't move partitions around, but you can shrink them to make space where they once were set and you can grow them if there is free space after then and the next limit. If you've painted yourself into a corner, you would have to copy the data off to a new drive (USB) and then remove all the containers except one. At that point, you should be able to grow the one container back to full use of the disk. 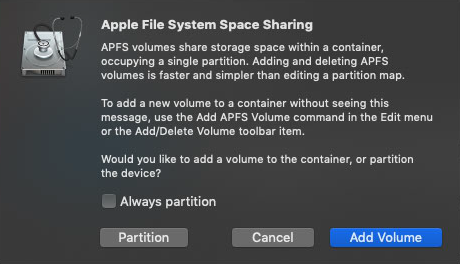 Should that fail, an erase / reinstall / then not make multiple containers going forward is the path for you to get where you can put BootCamp after the APFS Container is large enough for the Apple files and volumes. That being said, your details are superb and it looks like you might be able to iterate to a spot where you can move the files and have two copies of all the data and then retire all the containers except for one. If you like this, start by retiring by deleting the APFS containers marked in RED. It looks like they are Untitled and from comments, you don’t want those and you don't need to get any data saved from them. The green containers should remain - don’t delete them. Once you retire disk0s3 and disk0s5 - you will want to see if you can resze disk0s2 to be larger. In the end, you want it to be 1.0 TB (or as close to that as you can grow) before you let BootCamp shrink it to carve out space for windows. The last command with a size 0 should try and expand container disk2 as much as possible. We might need to revisit things or better - ask a follow on question with the new listing rather than us keep editing the question then the answer back and forth. I'm not even sure how you made all 4 containers - when I tried to reproduce your setup so I could check the syntax to delete the extra containers - I get this warning. Once you get things cleaned up - be sure to just make volumes for your Mac storage so the simple clean up of deleting files will free space. To install Windows using Boot Camp, open Boot Camp Assistant from the Utilities folder inside the Applications folder. 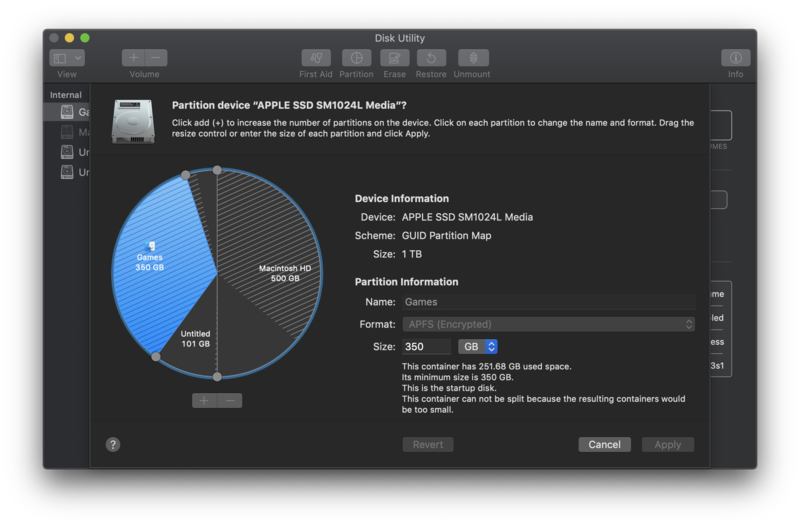 Then follow the onscreen instructions to repartition your startup disk. This assistant should make the space needed. Are you getting an error message when you try the assistant? Not the answer you're looking for? Browse other questions tagged macos mojave apfs .